About 20,000 visitors come through the museum each year, according to Jeffrey Nash, Peterson Air and Space Museum assistant director and curator. On an average week in the summer, about 300 visitors pass through the museum’s buildings. Another aspect of the expansion plan is work on sidewalks and landscaping to tie the museum buildings and grounds into a more cohesive site. 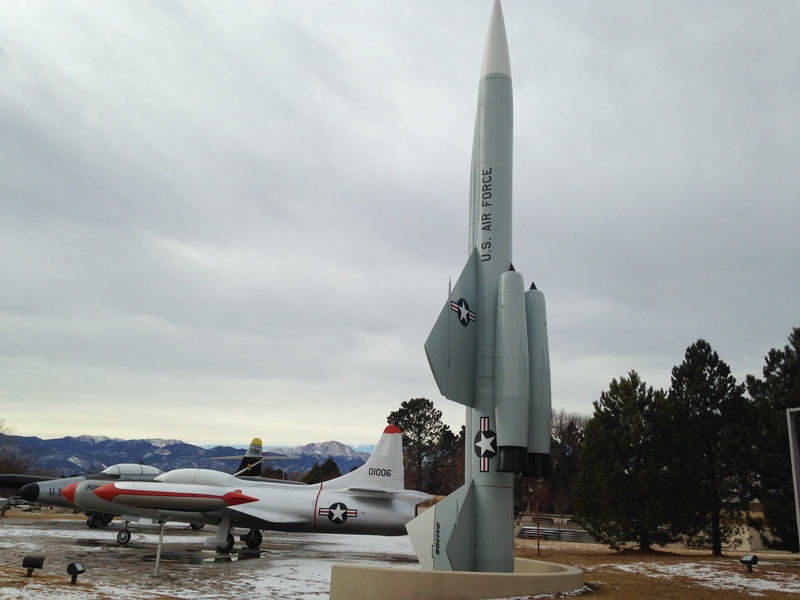 The museum is unique in the fact that it is registered as a National Historic Site, Colorado Springs Municipal Airport Historical District, right in the middle of an air base. The museum is also one of only 11 field museums in the Air Force Heritage Project. The typical volunteer puts in 8-10 hours a week. In 2014 alone, Whalen said there were slightly fewer than 49,000 volunteer hours logged at the museum, the equivalent of 19 full-time employees. The most critical need for volunteers lies in the position of docent, or tour guide. The docent position is the role where almost all volunteers begin their service. Nash calls docents the face of the museum. Docents interact with visitors, interpret exhibits, answer questions and give tours. Currently there are about 20 docents. Nash said ideally there would be four or five available for each visitor day. Friday and Saturday are the days docents are most needed. Plans for particular fund raising events are in the works, said Nash, but the amount to be raised is in the $2.5 million range. The Air Force will budget about $200,000 of that amount toward capital improvements, but the rest will come from events and donors. In a region steeped in colorful history, you can volunteer or donate to keep the preservation of history alive at the Peterson Air and Space Museum. For information on volunteering, making donations or visiting the museum go to www.petemuseum.org.